After relentlessly tacking up a narrow, rock-strewn channel, Michel Chenon and Darryl Spurling found themselves asking each other how a winch could be improved. If it could, how would they take on existing winch giants? 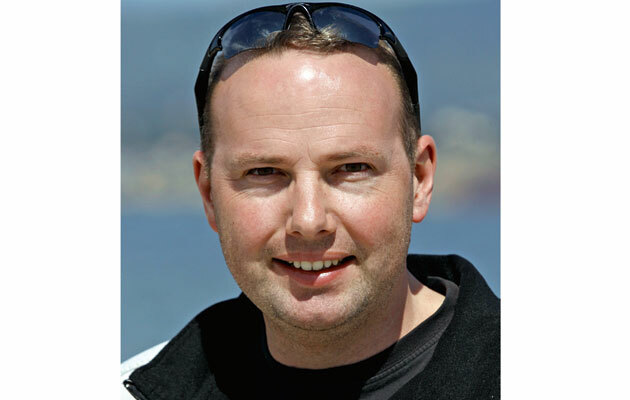 ‘We do something they don’t: make a cruising range of four speed winches’ Darryl explains. Winches aren’t intrinsically exciting and a four-speed winch might mean nothing, but bear with me, these winches are very clever. Imagine tacking without touching the sheet or the fuss that goes with it: carefully adding loaded turns, feeding the sheet into the self-tacking jaws or fumbling with the winch handle. Instead, how about just turning the winch handle until the genoa is snug – too good to be true? Or maybe you’re not as strong as you were and want to make sailing a easier, but the price of electric winches and their installation is too much to contemplate. If so, help is at hand. 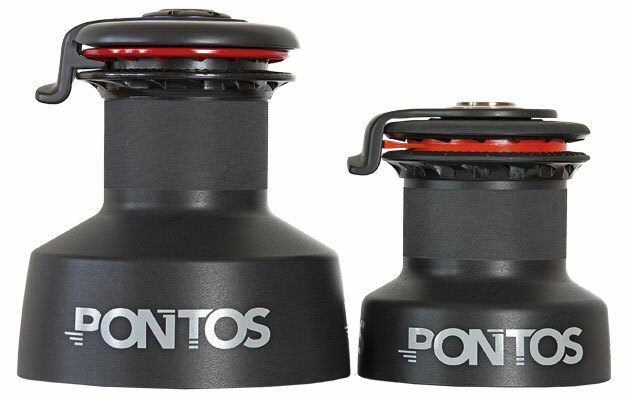 Pontos makes three styles of winch, called Grinder, Trimmer and Compact – think of them as Speed, Power and Smaller. 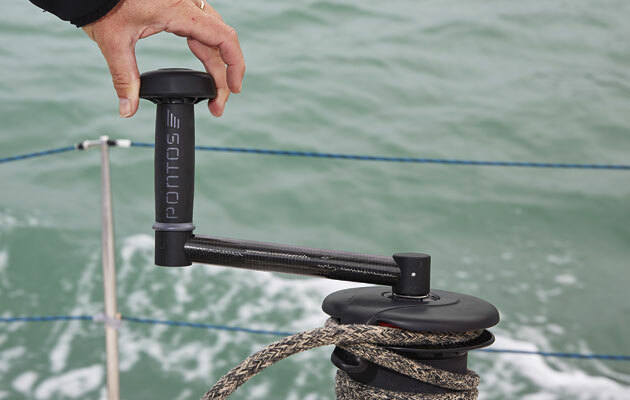 The Pontos Compact has two speeds or gears; the lower gear ratio pulls in the line faster while the higher one has the same gear ratio as a size 45 winch, however it’s closer to the physical size of a traditional size 28 winch that you’ll find on an older 30ft yacht. Although it has the power of a size 45, it has the 850kg load capacity of a size 40. This means you could replace your ageing size 28 winches with a more powerful winch that is the same size, or replace an old size 40 with a much smaller winch. The Compact is clever, but it’s the Grinder and Trimmer that really stand out in a market dominated by two-speed winches. These have four gears used in two different ways, but both change gear using the load on the winch and changing the direction of rotation of the winch handle. To understand what Pontos has done, we need to cover the basics. Typically, in first gear of a standard two-speed size 40 winch, a single 360° revolution of the handle recovers around 12cm of sheet with a power ratio of around 13:1, so for every kilo of effort you put in at the handle you’ll get 13kg of effort at the barrel. Second gear recovers around 4cm of sheet with a power ratio of 40:1. Let’s now take these two gears and call them third and fourth, third being the low gear, fourth being the higher. The Pontos Grinder has two coarser gears: first gear will recover 70cm of sheet with a power ratio of 2.3:1 and second gear pulls in 20cm with an 8:1 power ratio. It then switches to nearer the traditional gearing for third and fourth gears: 11.6:1, recovering 14cm, and 40:1. One handle revolution of a normal size 40 winch nibbles in 12cm of sheet, while the same single rotation on the Pontos Grinder devours 70cm – almost six times as much, albeit at a lower ratio when there is little load on the sheet. 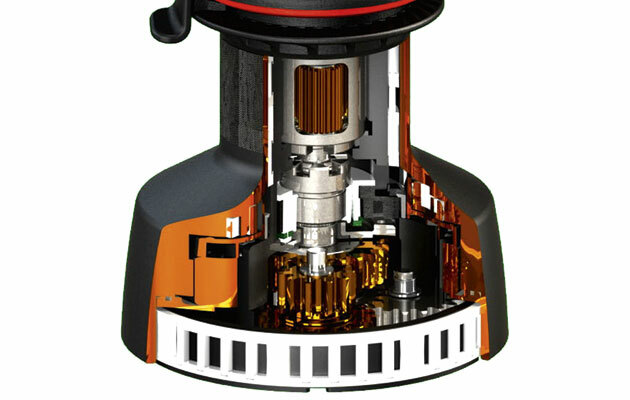 The Pontos Trimmer starts with the conventional third and fourth gears before moving up to sixth gear, recovering 1.4cm with a massive power ratio of 112.9:1, and then into fifth gear, recovering 5cm with a 32:1 power ratio. Sixth gear brings in just 1.4cm, but rather than be stuck in a very high gear, the fifth gear (nicknamed the pump-gear) is slightly lower than fourth, but not a lot, allowing you to pump the handle in an anti-clockwise direction, to retrieve more line as your energy allows. This might sound confusing, but as long as you start winding in a clockwise direction, then reverse the direction when you feel the need, there is little to go wrong. There are no buttons, levers or switches; anyone who has used a winch before will know what to do, anyone who hasn’t will pick it up in seconds. The step to or from the conventional two-speed winch gearing is automatic. When the load reaches a predetermined amount you’ll hear a solid click, then you can either keep winching in the same direction or reverse direction. What’s inside a Pontos four-speed winch? It’s a simple system that requires no more maintenance than a standard two-speed winch except a few squirts of lubricant into the extra gears, but it’s quite complex to describe in print. In effect, the Trimmer and Grinder are a standard two-speed winch with the addition of a dog clutch to engage (or disengage in the Grinder) a planetary gear set that adjusts the gearing input from the handle. The Compact uses a planetary gear at the base, spreading a high load over three gears and it’s possible to use smaller gears taking a third of the load. None of this is revolutionary, if you’ll excuse the pun. Even the trigger mechanism, which engages and disengages the toothed dog clutch on the larger models, uses nothing more complex than springs and the load on the winch. In a conventional winch, the barrel rotates around a central hub. 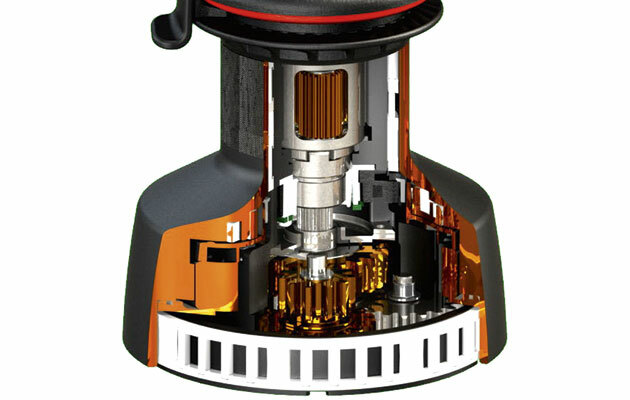 The teeth inside the hub of the Grinder and Trimmer, with which the gears in the base engage to rotate the barrel, aren’t part of the barrel. Instead, they are on a gear ring that can rotate 18° within the hub. 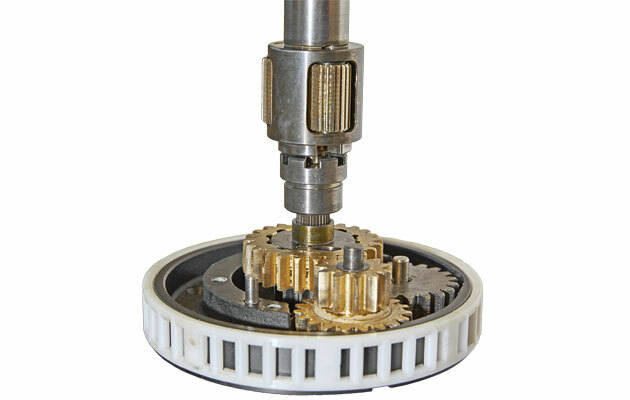 The gear ring is held in its shut position by two springs. When the load on the winch reaches 50kg (Trimmer) or 60kg (Grinder), the springs compress allowing the toothed ring to move to its open position. This turns the trigger ring, which has angled teeth that push the dog clutch up to engage with the planetary gear. 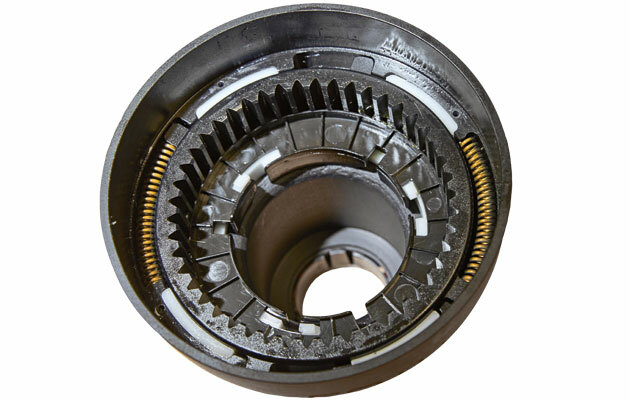 If at any time the load is released, the springs close, the trigger ring reverts to its initial position and a spring pushes the dog clutch open again, disengaging it. The Compact was a prototype when I visited Pontos, but at the time of writing it’s just been launched and I’ll be testing one very soon. However, I did get to test the Trimmer and Grinder and it’s only when you’re on the water that the penny drops and you see their potential. Take the Trimmer: in use it’s more like a three-speed winch, as the pump gear is similar to a traditional final gear of a two-speed winch, but the high gear means that whether you are young or old you can still keep winching in a genoa. Our test boat for the Trimmer was a Jeanneau Sun Odyssey 40 owned by Jean Legallet and raced by his crew of mature gentlemen, who have been racing together for over 25 years. Lacking the brute force of younger crews, they tried both the Grinder and Trimmer. They settled on the Trimmer; it was easy to see why. In sixth gear, using just a finger and thumb to hold the handle, I could bring the genoa home when on the wind. The load on the handle is so light, even my three-year old daughter could keep winding. Just 1kg of pressure from her on the handle would exert almost 113kg on the sheet, or roughly 6 times her body weight – trying to stop her winching the clew off my genoa would be the biggest problem! My only slight criticism was that when using the pump-gear, the first bit of effort was taken moving the barrel the 18° to overcome the springs, but this was a grey afternoon in a month of sunshine. It’s the Grinder that I think will mess with the minds of most sailors and rethink the way we tack. Without exception, everyone who tried it was left smiling with a look of disbelief. First off, it’s blisteringly quick. You’ll surprise yourself how quickly the genoa was brought home without touching the sheet. You’ll also find that by the time you look up to see the sail shape, it’s already in, such is the winch’s effectiveness. Working the winches single-handed during a tack is a breeze: take the slack out of the windward sheet and add three turns around the winch barrel, then feed it in the self-tailing jaws and insert the winch handle. The helmsman then tacks as normal and you cast off the leeward sheet as usual, then start to wind the pre-loaded winch in a clockwise direction, remembering that for every 1.3 turns you’re pulling in one metre of sheet. As the load increases you change direction and winch in an anti-clockwise direction. If you listen for a click you can hear it, though in the action of a tack you might not, but once the load reaches 60kg reversing the winching direction will change up a gear. Even if you carry second gear longer, you still have to reverse the direction to change up gear. The only negative is that the first few times I found second gear was carried on longer than necessary so the use of third gear was sometimes a short jolt of clockwise before powering away in in fourth gear. This isn’t as bad as it sounds, in time I could learn to spread the use of the gearing evenly. It’s probably taken longer to read what happens during a tack than to actually do it. Reliability is the major winch manufacturers’ strongest suit. Can Pontos can match them? 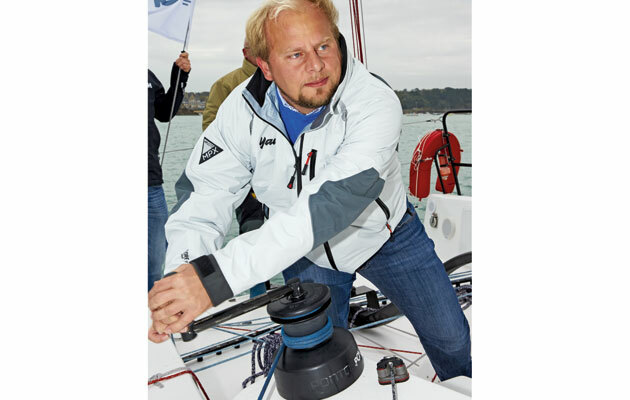 It will be a while before we know for sure, but one of the top ocean racers on the Class 40 circuit, Sébastien Rogues, has already sailed 10,000 miles with a Pontos Grinder. 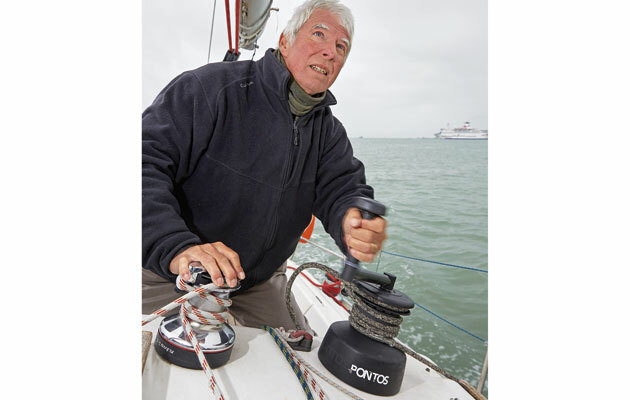 He’s now swapped his other winches to Pontos, staking his own career on their reliability. Now there’s a vote of confidence.